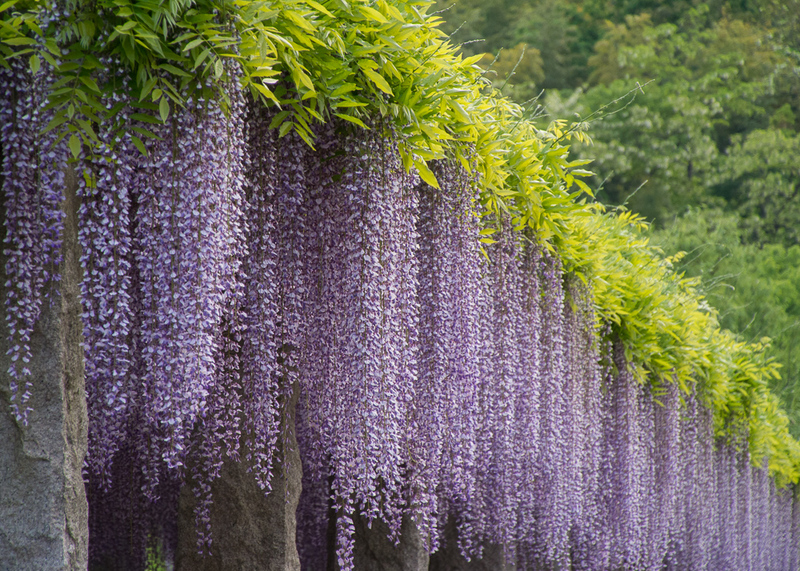 Fujioka City, in Gunma Prefecture is having its annual Wisteria Festival from April 25 to May 10th. 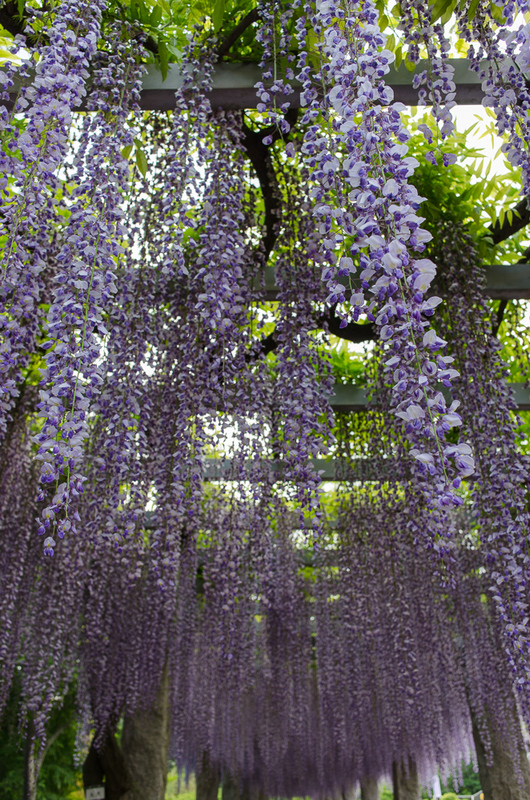 “Fuji” in Japanese is “Wisteria” in English, so the city takes its name from the distinctive purple flowers. There are many events going on during the festival, including various performances and exhibitions. Vendors are selling their wares as well. 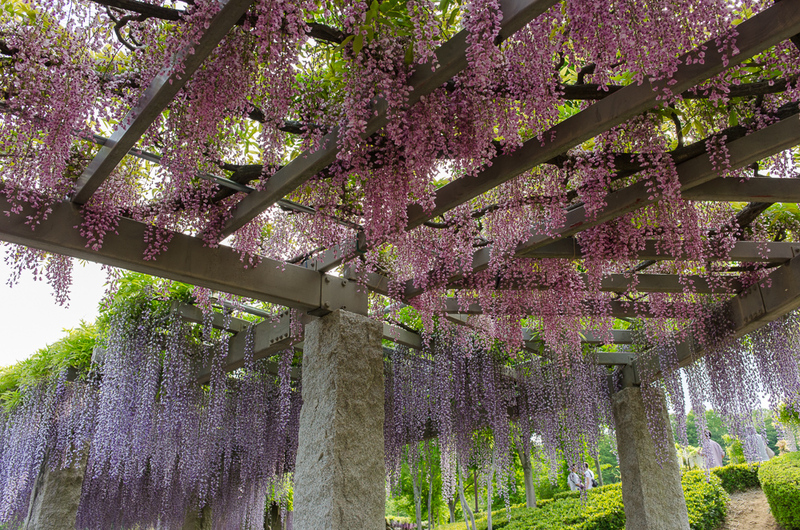 The highlight of the festival may be the natural tunnel of wisteria flowers. When seen at full bloom, they are quite impressive! Wisteria flowers in a row. Wisteria flowers, as seen from below.